Hagop & Tamar came all the way from Los Angeles, California to Hyegraph last year with their families to pick out just the right Armenian Wedding Invitation for their wedding which took place in August in Glendale, California. Tamar’s sister, Nairie also got married recently and she too chose to create her wedding invitations with Hyegraph. 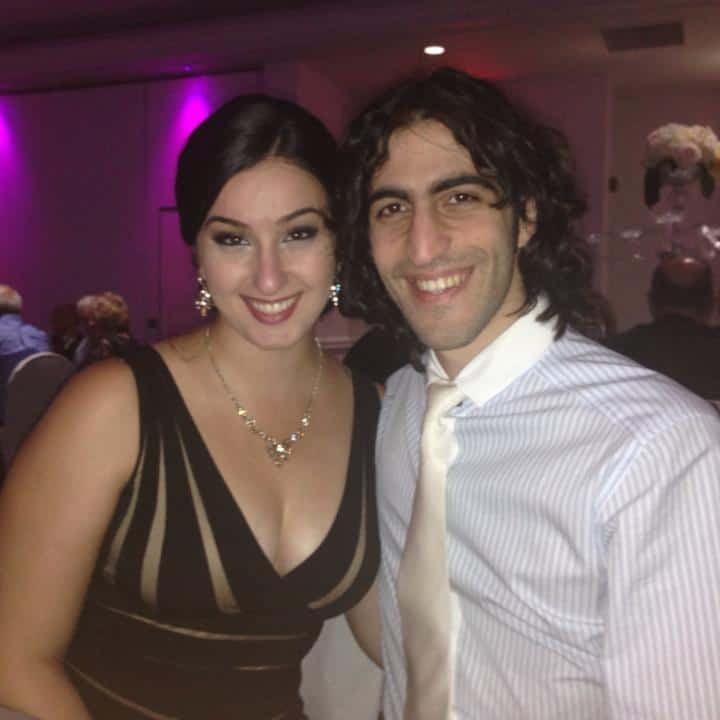 The young vibrant Armenian couple were thoughtful to honor their Armenian heritage by incorporating the Armenian version of the wedding invitations with the ancient Armenian Fonts. The couple’s initials were created into their Armenian wedding monogram using trchnakir, (Armenian letters made out of drawn shapes of birds) and printed in the center of the wedding invite in between the English & Armenian wording. Another feature of Tamar & Hagop’s Armenian Wedding Invitation is our new, Glitter Thermography, used here in Sparkle Gold ink, technique by Natural Impression Design. 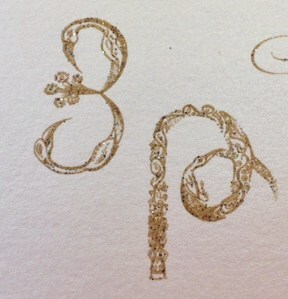 This sparkly ink creates a special effect adding another dimension of luxury to this invitation. Pocket Wedding Invitations are always a customer favorite! However, this high end, custom invitation illustrates the pocket invitation all blinged-out with it’s sparkles, rhinestone brooch, lace and satin touches. In this example we illustrate the Reception Card and all wedding stationery inserts that go right in the pocket of this invite. This custom invitation in addition to being a dual language, pocket wedding invitation with Glitter Thermography, also encompasses the Chantilly Lace & Satin Ribbon on the outside jacket of the invitation. The antique looking Chantilly lace is also reminiscent of the old Armenian lace work embroidered by the talented women of the Armenian culture. 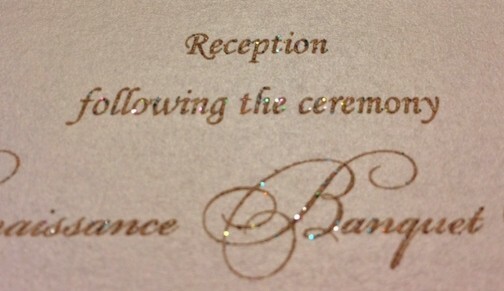 Tamar’s wedding invitation really has it all! The circle rhinestone brooch is affixed on top of the jacket of the invitation layered on the very top of the lace and satin ribbon. So this ancient Chantilly Lace is made modern with the satin ribbon and the Blinged brooch. 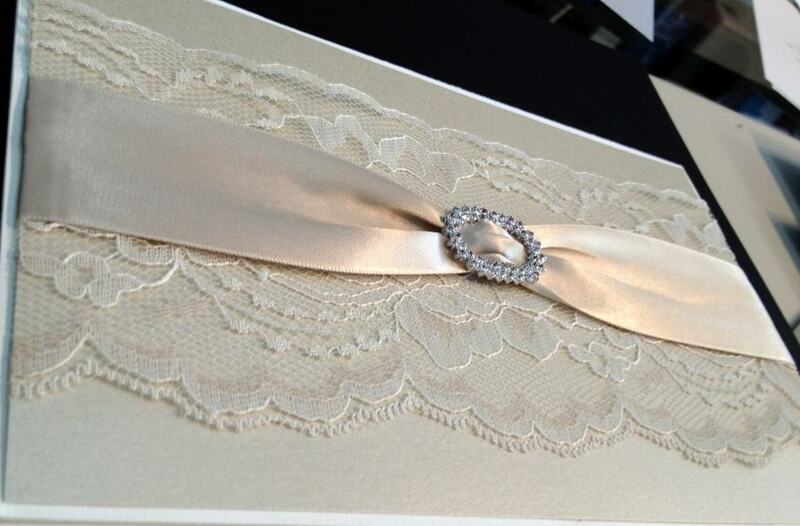 Please call, email or come in to Hyegraph to get a custom quote for your personalized, custom wedding invitations! Don’t forget to address your wedding invitation envelopes with elegant Digital Calligraphy for Envelope Addressing. Please check out other custom Armenian Wedding Invitations we helped design for our couples: Arpi & Bedross, Lori & Armen’s San Francisco wedding invitations, Shant & Sylva, Salpy & Paco. 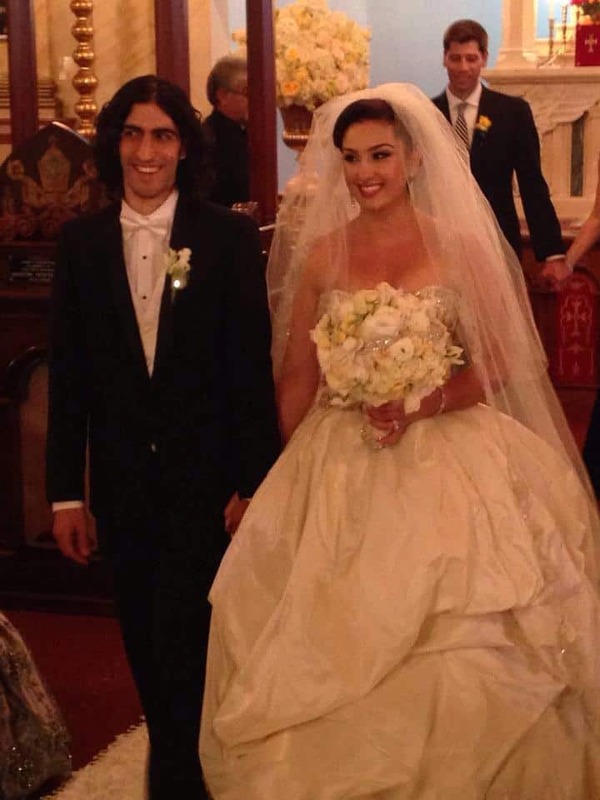 We congratulate the newlyweds and their families!